Item # 296614 Stash Points: 1,395 (?) This is the number of points you get in The Zumiez Stash for purchasing this item. Stash points are redeemable for exclusive rewards only available to Zumiez Stash members. To redeem your points check out the rewards catalog on thestash.zumiez.com. Enhance your casual looks with the Savage Skull Crew Socks from Stance. These black tube socks feature a subtle acid wash design with medium cushioning and a soft combed cotton construction for daily comfort. Complete with skull graphics with "Savage" in red lettering at the shins, these socks are anything but basic. 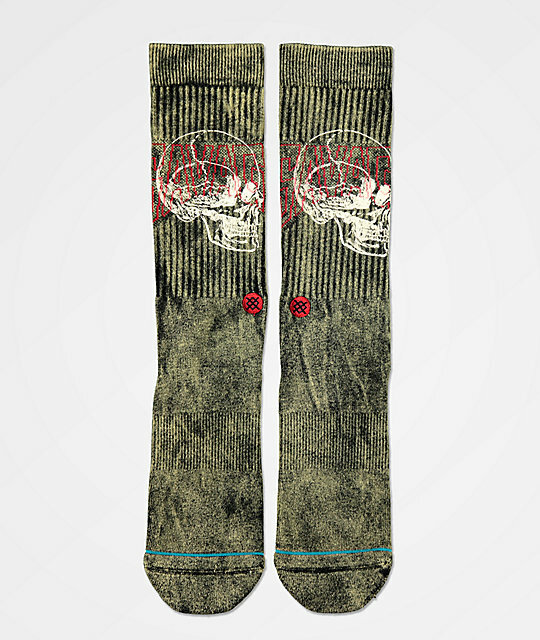 Savage Skull Crew Socks from Stance. Black acid wash design with skull graphics.